We all love ice cream and more so if it comes in our favourite flavours. After eating chocolate ice cream for so long, it becomes a tad boring at some times so what better way to engage the masses than to offer local flavours? 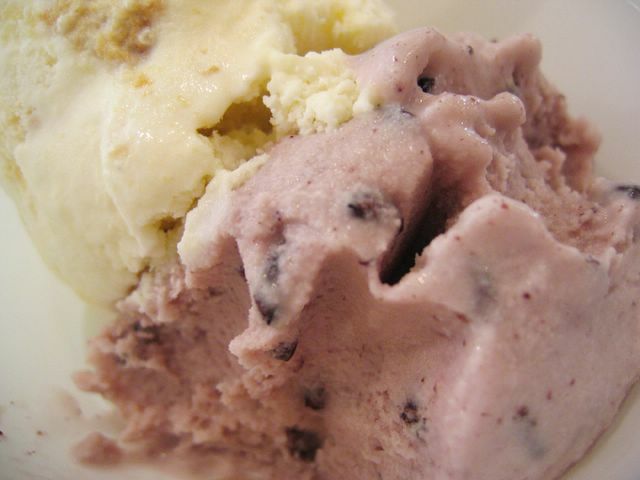 Island Creamery is one such ice cream place that’s doing just that. 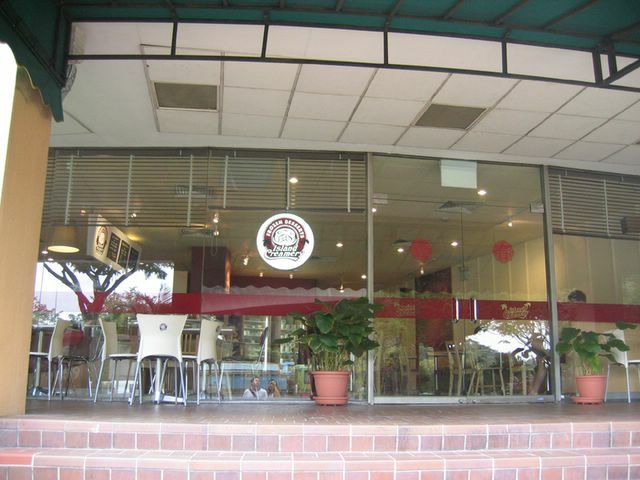 It used to be located at a corner of Serene Centre. Well it’s still in the building but they’ve just moved next door to a bigger premise. It was a lovely surprise. You see, I visited the place a couple of times last year while it was still at the small corner. I was pleased to see the shift. Look how lovely it looks now! Anyway this place is known for serving ice cream in interesting and local flavours. Think teh tarik and tiger beer sorbet. You can’t get these flavours elsewhere i tell you. Just a few days ago I popped by and saw that they had pineapple tart and pulut hitam flavour. I just had to try them both. The taste was simply authentic! You could actually taste and bite into real chunks of pineapple tart (my favorite CNY goodie!). As for the pulut hitam, it was akin to drinking a bowl of the real thing. Fantastic. I know the pineapple tart was made especially for this festive season. I hope they keep it on the menu permanently. 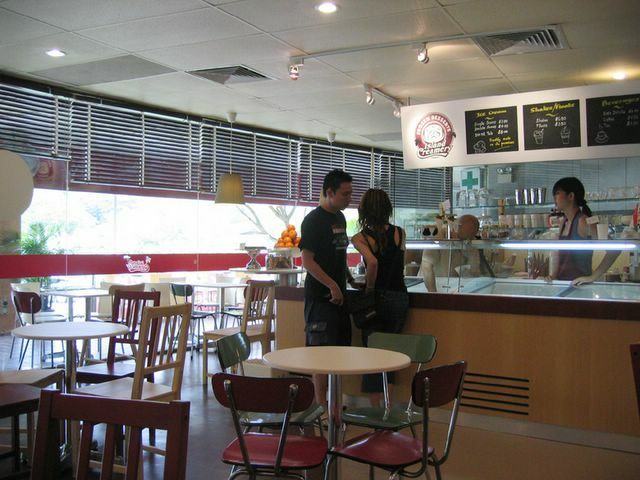 The thing about their ice cream is that it’s made on the premises everyday and very fresh. Not too expensive too. $4 for double scoop. P.S. They sell ice cream cakes and mud pies too! So you can order your next birthday cake from them. Hmm. I shall make note of this place and go there the next time I travel to Singapore. In Vancouver we have an all natural ice cream parlor called La Casa Gelato. They serve the craziest flavours. Take Curry for instance. It may not be the greatest flavour but they manage to do it. I’m a big fan of durian ice cream myself. I don’t know how people can hate it. It smells like hell but tastes like heaven. OH-MI-GOD! Kueh Tart ice-cream?! You have found paradise…. oh wow i am so glad u wrote abt this place! i have been coming here for their great and yummy flavours at least 2x a mth for 2 yrs! and i wait in eager anticipation for their pineapple tart flavour every cny! it is damn shiok! oh and for christmas they had spumoni– rum n raisin ice-cream with maraschino cherries, pistachios, raisins, ie just like a fruitcake!–, and egg nog latte! sadly i didn’t get to try the latter but anyway i loveeeeeeeeeee island creamery! the teh tarik and horlicks ice-creams are the thickest and creamiest ard, compared to the other shops which have them too! x: whoa, curry gelato? now that’s something I have to try! oOoo durians. i adore them. thank god it’s easily available here in s’pore. haha but i do love the smell too..
joone: they trust their customers that much? this is rare! but i’m seriously impressed. i love that place, i think it’s very personal ice cream place. penny: you have to try it when you come back again then! watermelon girl: i would go there often too if i lived near by. but man, the flavours you just described sounds too good to be true. too bad i missed it, but hopefully they’ll bring back those flavours again. yummy. ya i love the teh tarik one. awesome ice cream they sell there. never ceases to amaze me. I am going to give it a try.. thanks for recommendation!